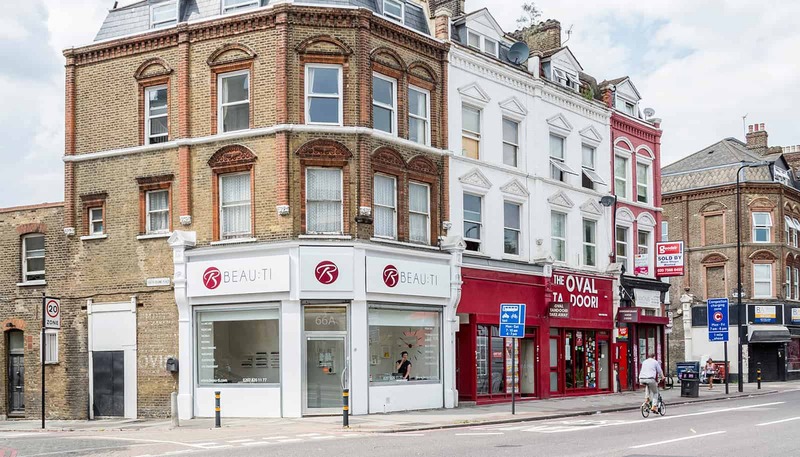 Beau:ti is a London based non-surgical skin clinic and beauty salon. We worked with Beau:ti in the lead up to the opening of their new salon and provided branding and web design for the clinic. Beau:ti were looking to market themselves as a premium non-surgical clinic offering high-end exclusive treatments, and wanted the brand and website aesthetic to showcase this. A key starting point for the brand was to ensure that it was gender neutral, all-inclusive and represented all demographics. This was a core value of Beau:ti so we wanted to ensure their branding reflected this. The result – a minimalist and sophisticated brand that appeals to all demographics seeking cosmetic treatment. A great deal of consideration went into the user experience for Beau:ti. Due to the number of treatments available we wanted to ensure that users could seamlessly navigate between all that the clinic has to offer. Particular care was taken when selecting images and copy for the website to ensure that a premium feel was delivered through out. The layout and structure of the site is consistent throughout and effortlessly guides the customer from start to finish. Beau:ti’s website and branding has created the premium aesthetic the clinic was striving for. The minimalist design and colour pallet of the site, combined with carefully selected images and copy has resulted in a brand and website that is elegant and customer centric. We are continuing to work with Beau:ti as they look to expand the brand and open an additional space.